1 × = 4 Required Please enter the correct value. Shares of cybersecurity firm FireEye dropped more than 13% late last week after the company reported lower than expected revenue of $175 million for the quarter. Analysts had been expecting $181.7 million. Trading was very heavy, at 8.89 million shares versus the 5.16 million share average volume. The shares currently stand around $14, down roughly 20.5% from the early August high of $17.60. That slump looks like it's about to turn around for the cybersecurity company. 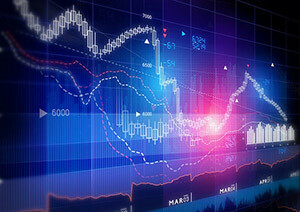 FEYE reported a per-share adjusted net loss of $0.33, less than the $0.39 per-share loss analysts had been forecasting. However, the company also lowered its next quarter and yearly guidance. Third-quarter adjusted per-share results are forecast to be a net loss of $0.30-$0.32 versus Street expectations of a $0.24 loss. FEYE sees revenue for Q3 in a range of $180 million to $186 million versus analyst expectations of $208.2 million. For the year, the company expects a per-share loss of $1.28 to $1.32 versus analyst projections of a $1.24 loss. FEYE projects annual revenue in a range of $716 million to $728 million versus analyst forecasts of $793.7 million. FEYE also reported that it's restructuring, laying off 300-400 employees. Several analysts, including those from JPMorgan and Citibank, lowered their ratings on the news. CEO Kevin Mandia said he expected to see the company improve results in the future, noting "I believe FireEye has competitive advantages that will help re-invigorate our growth and deliver shareholder value in the future. Our MVX advanced threat detection engine, powered by our threat intelligence, leads the industry in high fidelity detection of unknown threats. Our global infrastructure allows us to deliver FireEye as a service to customers around the world, and the expertise of our security consultants positions us as a trusted advisor to organizations and governments." Despite the disappointing revenue and guidance, a number of analysts still rate FEYE a "Strong Buy." According to Zacks Investment Research, 10 out of the 21 analysts following it rate it a "Strong Buy," and 11 rate it a "Hold." None rate it a "Sell." The target price consensus is $21.36 over the next year, a 48% return given the current share price. The rising trading volume and falling share price combined with the price target indicate that FireEye can reward investors interested in using Search Investing. The methodology of Search Investing seeks out indications that retail investors are searching for news of a particular equity. Their searches are monitored using Google Trends and other technological methods. When retail investors are searching for an equity, it is often because they are alarmed at a dropping price. In other words, they are searching on emotions rather than a logical view of the company's prospects in the long term. This pairing of a dropping equity price per share and rising search volume suggests that the shares may be undervalued; they've been sold off by retail investors reacting on emotion only. Institutional investors, who use highly sophisticated investment tools, are generally more considered in their long-term assessments. Shares that have sold off by individual investors on average move up again within 20 days, according to research published in "Individual Investor Trading and Stock Returns" (2008). That provides investors with a chance to profit from the market moves surrounding FireEye's earnings report. Follow  Money Morning on Facebook and Twitter.